Tabitha designed these for her final show and I translated it into knitting for the collars cuffs and jacket banding,yarn sponsered by Designer Yarns,thankyou David. Those that know me well, know that since coming to live here in the North Pennines I have become a yarn producer and my BFL yarn and Zwartbles( astunning natural chocolate colour) were used to produce a blanket for the new Prince of the Realm. The blue faced leicester was left natural and knitted in a modular raised slip stitch design to denote the hills and valleys here in Harwood where the sheep live. Prince Charles does an awful lot for the hill farmers here and I hope he us thrilled to see a product that comes from the fleece of their daily endeavours. 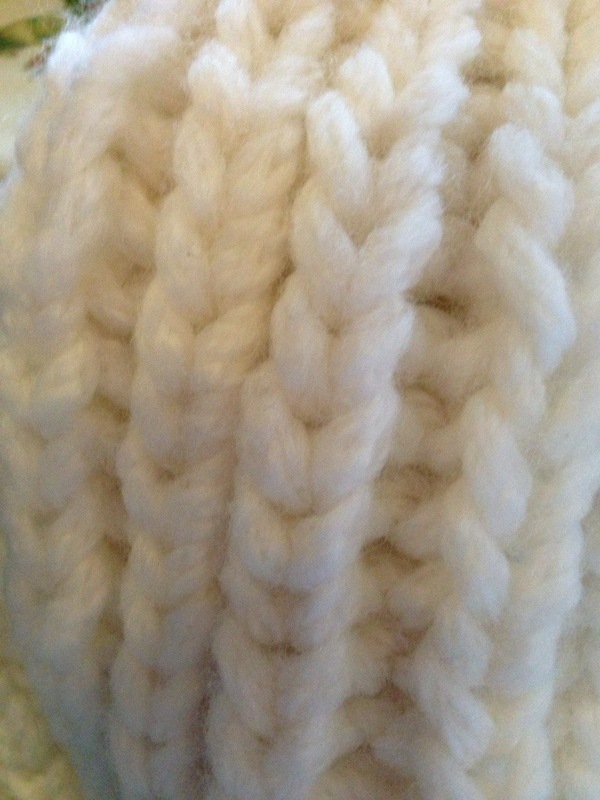 My yarn range is tiny and when it is gone II REALLY is gone. 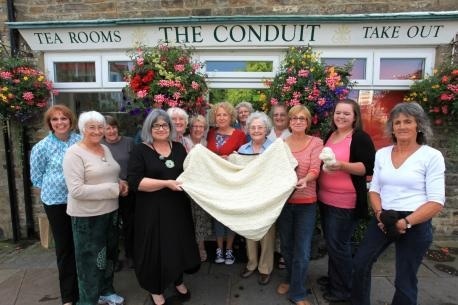 We had our story in the local paper and a shot of the blanket,here it is,with the farmers who produce the yarn outside the village cafe who sell the yarn and with the knitting Ladies from my class who knitted it up. Yarn for those of you who cannot get up here to buy it will be for sale online. The BFL has had some dyed in natural plant dyes ie madder. 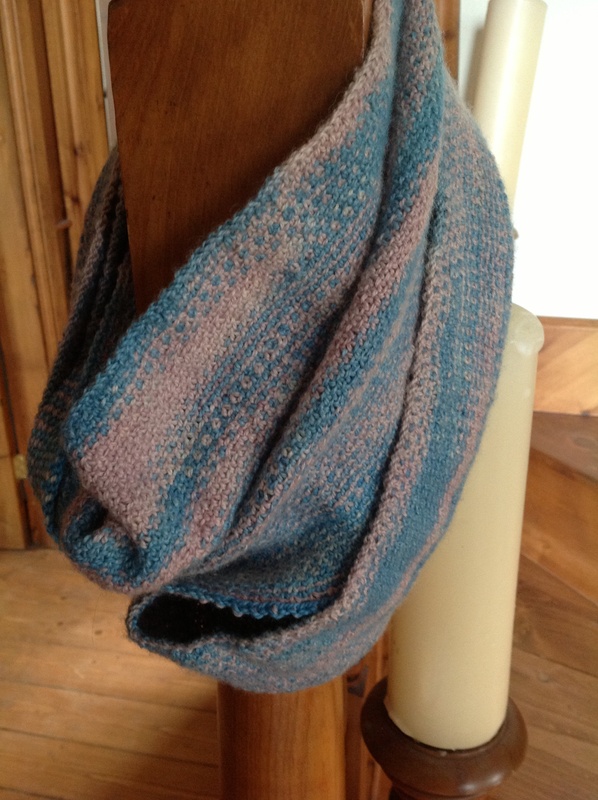 Kits for this cowl are for sale via me or at Farfield Mill where my studio is. Hi Chrissie! Thanks for your comment! The yarn is Visjö Karamell Tåke (http://www.tantthea.se/garn/ull/visjo/ostgota-visjo-karamell-take-gra-gron.html).